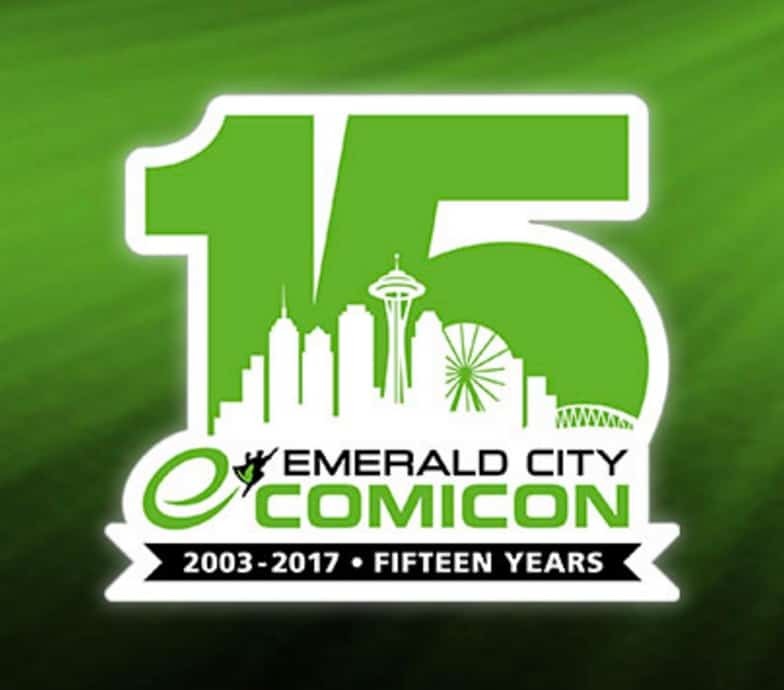 Emerald City Comic Con (ECCC) is the biggest comic con in the Pacific Northwest, and to many, it represents what comic cons used to be, with its heavy focus on comics, while still embracing other aspects of geek culture. Maybe you’ve been to ECCC before, or maybe you’re considering attending for your first time. Either way, a lot of information was released this week. The big announcement, and the one that hit the blogosphere pretty rapidly, is that ECCC announced that badges would go on sale on Wednesday, October 19, at noon Pacific time. Second to that scene-stealer, it was revealed that there would be no VIP or 3-day badges this year, only general attendees with 4-day or single-day badges. This disappointed many fans who were accustomed to purchasing such tickets. But there was a lot more information that went live this week. ECCC completely revamped their website, unveiling a new logo for their 15th anniversary (see above) while updating their FAQ and other pages to reflect 2017 data. In the process, they quietly deleted their much-loved Tumblr page, mourned by many fans. So what else is now in the mix? First, ECCC revealed the hours for the con, which are pretty similar to 2016. This year was the debut of a fourth day, and while we already knew that Thursday would continue to be a part of ECCC 2017, it was revealed that it would again be a half day, with the exhibit floor only open from 2:00 pm to 7:00 pm. This shortened status is reflected in the admission price for a Thursday only badge: $20, half the price of a Friday or Sunday badge. Registration hours were also posted, revealing that if you pick up your badge onsite, you can do so on Tuesday or Wednesday afternoons, or Thursday morning, in addition to during the con itself. Next, the first guests were revealed. As usual, there were some big names from the world of comics. including Kelly Sue DeConnick and Matt Fraction. This year’s con is also being billed as ‘Stan Lee’s Final ECCC Appearance’, which sounds vaguely macabre, but certainly grabs attention. Stan appeared at ECCC in 2015, with a lively panel in the main hall. 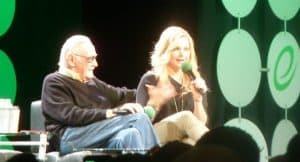 Stan’s 2017 appearance is bound to be just as entertaining. If you want to participate at ECCC as more than an attendee, panel and screening applications are now open. If you have a video to screen, if you are deeply involved in a devoted fandom, if you have a talent or skill you want to share, you can fill out an application and showcase your passion! If you’d rather participate as a volunteer (known as ‘minions’ at ECCC) you will have to wait; ECCC has not yet announced a date for minion applications. However press applications are apparently coming next week. If you’re interested in either of these possibilities, keep an eye on ECCC’s website. Professional applications are already available. Also revealed: 2017 will see the return of attendee favorites the Cospitality Lounge and Family Headquarters! So have no fear: your cosplays will be able to get their last minute fixes, and your kids can have fun in their own special place. While lots of information has already been revealed, there is much more to come. Keep an eye on the FoCC Blog for the latest updates. And while you’re waiting for the next scoop, connect with others who plan to attend ECCC by joining the conversation on FoCC!